This lovely green angel ornament is handcrafted with care and attention to detail! The green angel ornament can be hung on the rearview mirror, as home decor or anywhere you choose! 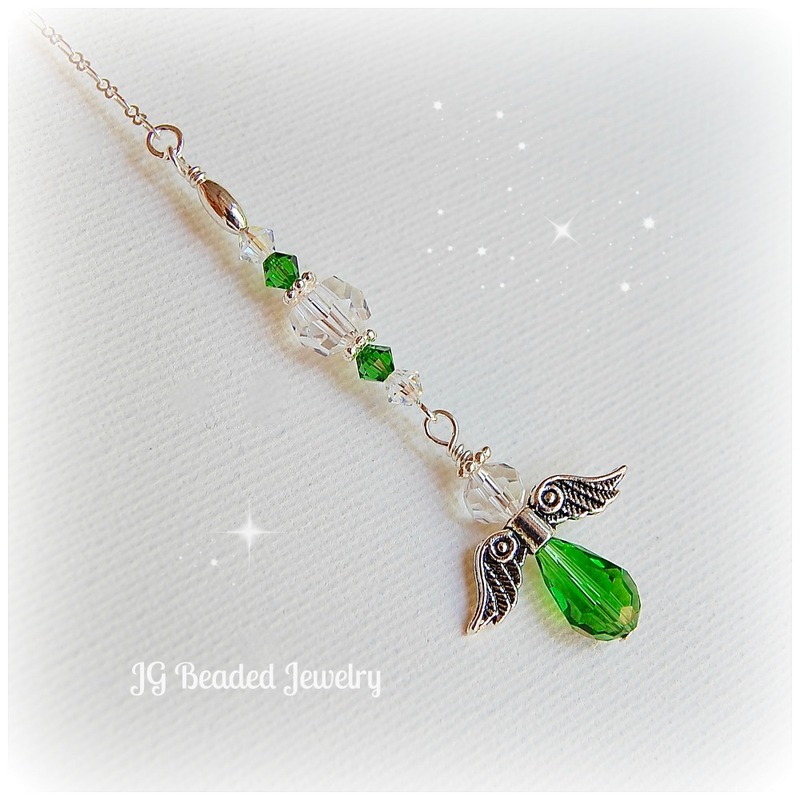 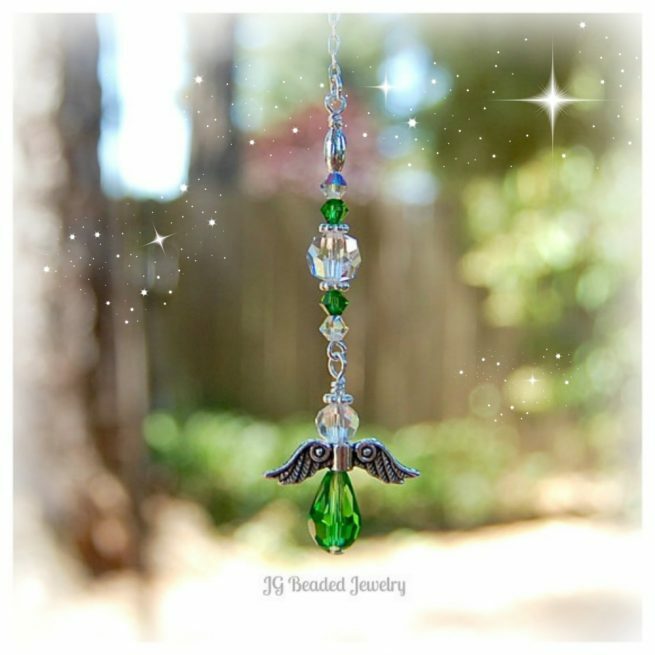 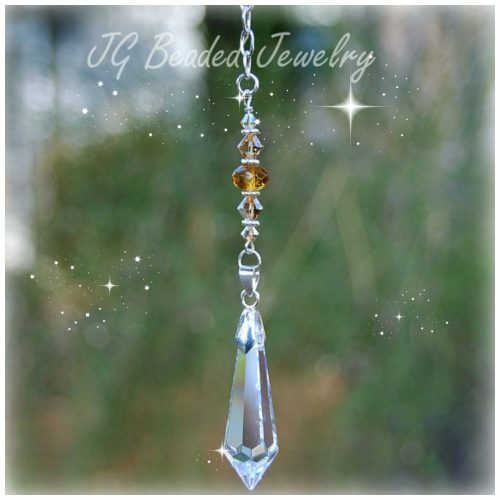 It is uniquely designed with detailed pewter angel wings, iridescent and green tourmaline Swarovski crystals, faceted clear crystals, a green faceted teardrop crystal bead and fancy silver metal beads.